Every industry has its geek talk. Every industry has a language its people use that make them sound super smart as they rattle off their own abbreviations and weird words the rest of us could never hope to understand. In the real estate industry, we too have our special geek talk. Then there are our technical specifications and drawings that even our spouses couldn’t make heads or tails out of, even though being the good spouses they are, they allow themselves to be subjected to their very own daily dose of real estate gooble-de-gook while we unload. Which brings me to my point. At the foundation of an easier sale and a better relationship with your potential client, lies one simple golden nugget. Make it easy for your client to do business with you. And make it about the experience. When you are trying to market a real estate development, involving the senses to achieve the experience becomes vital. If the mind cannot imagine it, there will be no sale. It’s not possible for any sensation to reach the objective mind except through one of the five senses. Enter Vietnam Architectural Rendering Services. 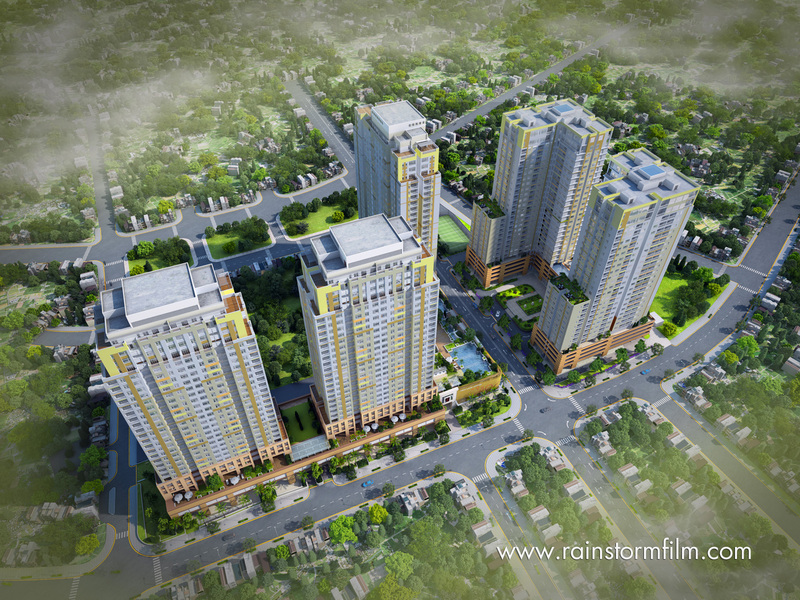 The 3D depiction makes use of the senses to express new life into the real estate marketer’s product presentation. The revenue produced by 3D and 4D technology in 2013 was $93.21 billion, and is expected to grow to a whopping $279.27 billion by 2018 which makes it clear how popular it’s becoming. This is because of its ability to provide a visionary perspective of both the exterior and interior in a dynamic manner, where one can walk into a space and relate to furniture and fittings relative to the shape of that space. It’s so real that your client can immediately relate to distance and scale impressions relative to motor cars and people on the street. So real in fact, that your client can just about touch and feel it. It is so good, that it actually creates a tangible atmosphere and in some respects, is better than the real thing, like a live TV crossing, as it were. It enables a clear picture before completion. It allows change both in the visualization of the architecture and the actual design structure which also saves you time and cost. Vietnam Architectural Rendering Services shows life from all angles. It connects you with your client and his or her needs. It not only provides one great concept view, but shows the real and actual finished product. As the real estate marketer, you don’t need to work the marketing process quite as hard. The architectural rendering does the work for you. Vietnam Architectural Rendering Services is all about the experience. And in real estate development, the experience is what will skyrocket your marketing efforts.